Members of Justin Trudeau's youth council are urging the prime minister to withdraw his decision to buy Kinder Morgan's Trans Mountain pipeline. Fissures have appeared inside Prime Minister Justin Trudeau's youth council after a group of current and former members publicly urged the Liberal government to reverse its decision to buy Kinder Morgan's Trans Mountain pipeline. The request was made in a letter to the prime minister signed by 16 past and present members of the council and released to the public on Monday, in which signatories expressed "our immense disappointment" with the planned $4.5-billion pipeline purchase. "The decision to buy the Trans Mountain pipeline project calls into question your commitment to young Canadians," the letter reads, adding that youth will be "disproportionately affected" by climate change. "I thought it was very partisan and that is not the role of the prime minister's youth council," said council member Sara Wheale, who has worked for more than seven years in Alberta's oil industry. "We're supposed to be non-partisan. ... We haven't seen a letter go out like this and I don't think it was appropriate the way this was handled at all." The Liberals' plan to purchase the Trans Mountain pipeline has been a political hot potato since it was announced in May amid fierce opposition from the B.C. government, environmental groups and Indigenous communities. 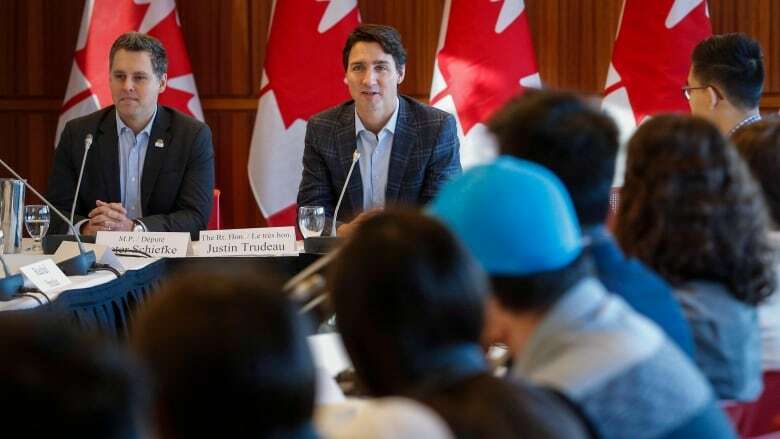 Trudeau spokeswoman Chantal Gagnon said Monday the prime minister "always appreciates input from the youth council" adding: "It is heartening to see young Canadians engage on political issues that affect them and become involved in the democratic process." At the same time, she defended the government's decision to purchase the Trans Mountain pipeline while noting that it was investing more to protect marine safety. Nmesoma Nweze, a neuroscience and psychology student at the University of Toronto and council alumna, said some members were disappointed by the lack of consultation before the decision given that Trudeau's meeting came after the deal had already been announced. Nweze defended the decision to release the letter, saying the council wants to start doing more outreach and "we know we're not the only young people who feel this way." Fellow alumni Chris Zhou acknowledged having been surprised when he saw that the letter had been distributed to the media. "When we send letters to Trudeau, those tend to not be released to the public because we do want to retain a certain relationship with the prime minister in which we can both be candid and genuine with each other," Zhou said. "This letter is not the case." Zhou nonetheless said that he wasn't opposed to releasing the letter. "The way the letter is being presented, it's being presented on behalf of the youth council," she said. "And there are other people on the youth council, either alumni or current members, who work in the oil and gas industry as well. And it's very concerning as to what sort of impact this is going to have on our careers." This Canadian Press story has been edited from an earlier version that incorrectly paraphrased youth council alumni Chris Zhou as being surprised the letter to the prime minister about the government's involvement in Kinder Morgan was released to the public. In fact, Zhou was surprised the letter was sent to media.